The Urim and Thummim were the prescribed method of divination used in the Old Testament of the Bible, which the Tribes of Israel used to consult the LORD. The objective of this book is to provide a functional means of using the Urim and Thummim in conjunction with the Breastplate of Judgment to assist in the decision making process. The Judeo-Christian believer will find this method of divination superior to others, because it encourages the inquirer to use the Bible to develop solutions for life's problems. Like all forms of divination, it can be done for meditative or recreational purposes, or as a way of exercising the mind and improving in one’s problem solving abilities. This book is structured to allow immediate use of the Breastplate of Judgment. After using the Urim and Thummim to select a Tribe of Israel, you can immediately turn to the corresponding chapter and begin analyzing the information to assist in the decision making process. Each chapter begins with a table that lists the blessings the tribe received from its mother, father, and Moses. General attributes are separated into positive (Urim) and negative (Thummim) qualities. Each of the sections in the table is then elaborated on further, followed by relevant information taken from the Pseudepigrapha Apocrypha. This book is structured to serve as a reference guide for utilizing the Breastplate of Judgment, but it can also be read from cover to cover to gain insight into the Twelve Tribes of Israel or to explore other concepts related to Judeo-Christian divination. To demonstrate that contemplative divination functions by using intuition and deductive reasoning in unison to evaluate abstract information against a set of criteria, the Astrological connections commonly associated with Palmistry were replaced with characteristics from members of the family of Israel. This demonstrates the interchangeability of set criteria, and reinforces the fact that the information derived by divination is the result of a person’s mental efforts. Divination is a process that relies more on the art of interpretation, than it does on the random selection of concepts. The Urim and Thummim were the only prescribed method of divination authorized in the Bible, and the High Priest used them to obtain guidance from God. 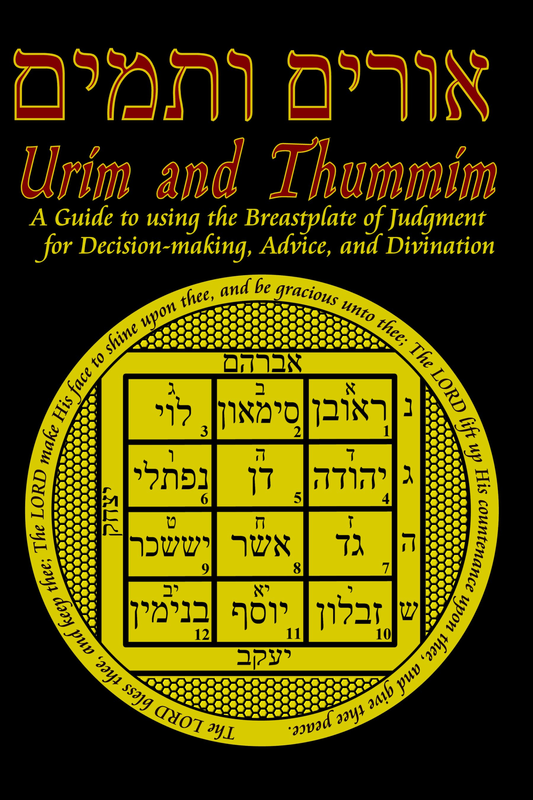 The ‘Urim and Thummim Divination Kit’ is the only functional system for using the Urim and Thummim in conjunction with the Breastplate of Judgment in existence today. This book is truly unique. 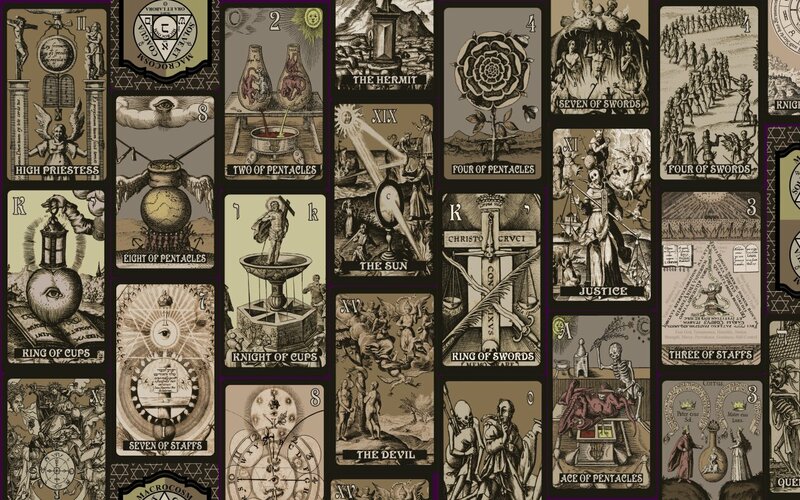 Not only does it provide the only functional method of using the Breastplate of Judgment with the Urim and Thummim, but it also presents Judeo-Christian based systems of Palmistry, Dream Interpretation, and Tarot Card Reading. ents these systems as a means of spiritual growth, and relates them to other mystical Judeo-Christian philosophies such as Alchemy and the Kabbalah.